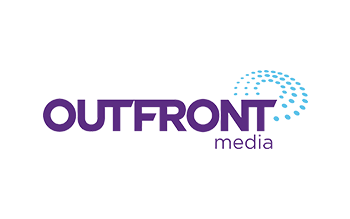 OUTFRONT Media Inc. is one of the largest out-of-home media companies in North America. From Sunset Boulevard to Times Square, our diverse portfolio includes more than 400,000 digital and static displays, which are primarily located in the most iconic and high-traffic locations throughout the 25 largest markets in the U.S. We are also the advertising partner of choice for major municipal transit systems, reaching millions of commuters daily in the largest U.S. cities. The scope and depth of our presence provides advertisers with the ability to engage with both mass and targeted audiences at many touchpoints throughout the day. Our focus on customers has informed many new platforms including OUTFRONT Insiders, a community of consumers that provide feedback on topics relevant to our advertisers, and OUTFRONT Studios, which is our in-house creative boutique. OUTFRONT Media has displays in over 150 markets across the U.S. and Canada.